Riley's patches have arrived! I ordered them from The Mutiny Shop down in LA and I'm really pleased with the quality. These patches attach using velcro, so I'm having a tailor sew velcro to the vest. 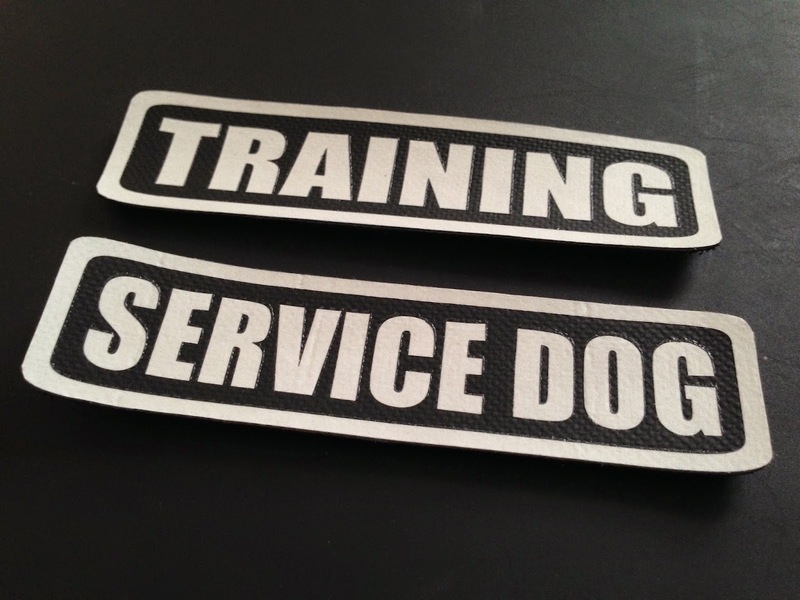 When her training is completed, I can remove the "TRAINING" patch and replace it with another "SERVICE DOG" patch. The tailor says her vest will be ready by Tuesday. I'll post a few pictures with her vest once it's completed! *Update - Since posting this, I have received a second set of custom patches from Bull Shoals Embroidery on Etsy. I decided to go with those patches instead because they match the style of the vest better. I may still use these patches in future on another vest. Public Access and Zoom Room Job!